We love our rainbow bears! I think they are the most versatile manipulative for early childhood education. You can use them to learn so many skills! Colors, counting, sizes, sorting, addition, patterns and so much more! 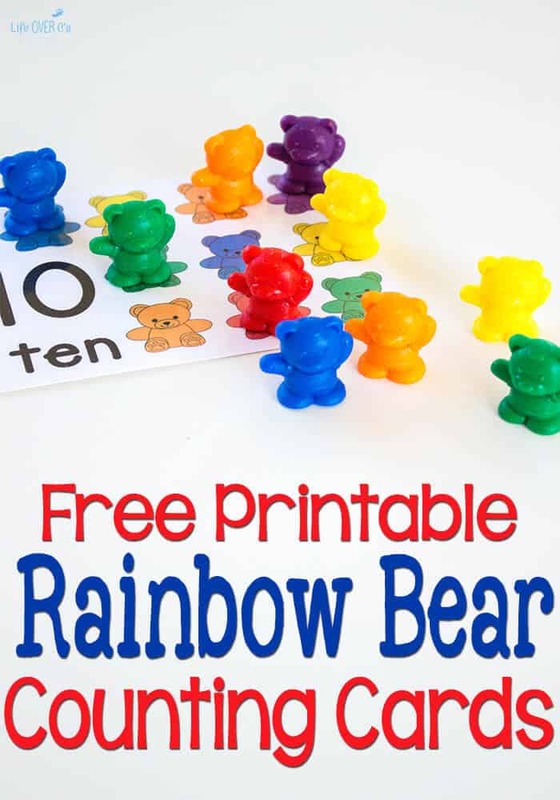 These free printable rainbow bear counting cards are the perfect way to introduce counting from 1-10. The one-to-one correspondence makes it easy for little learners to recognize how high to count on each card. They are the perfect addition to our counting card sets! 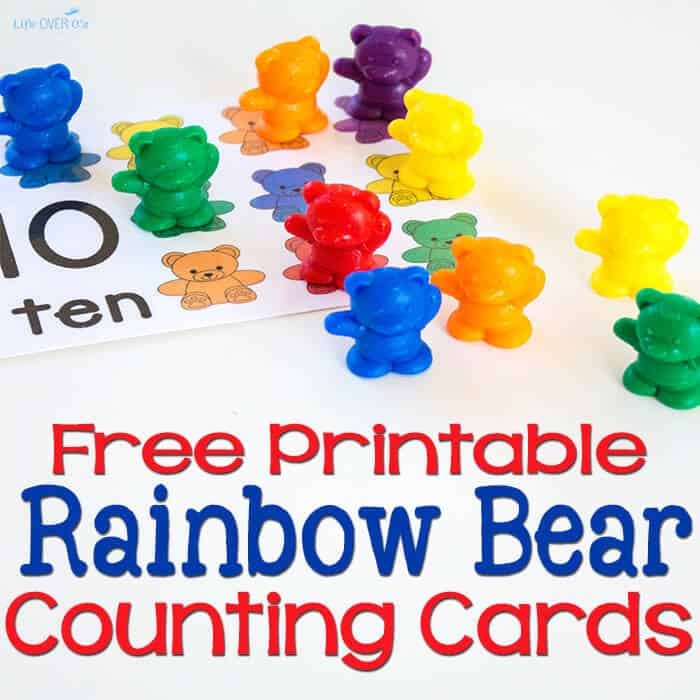 To prep: Print and laminate the rainbow bear counting cards (download below). 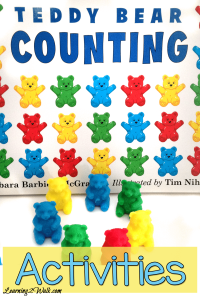 To use: Have your child cover the bears on the counting cards with the correct number of bears. 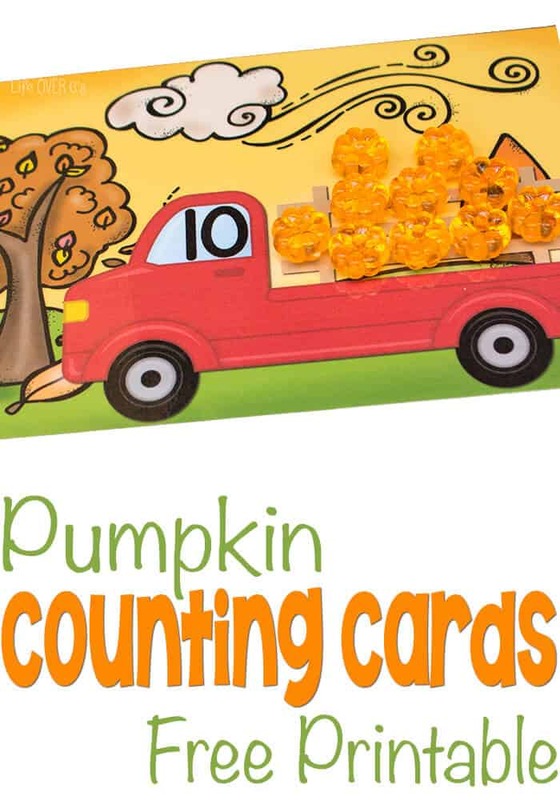 These cards are perfect to new learners who are not ready for independent counting. The kids simply cover each bear on the card as they are counting. That way they know when to stop for each number. Need more Rainbow Bear activities? 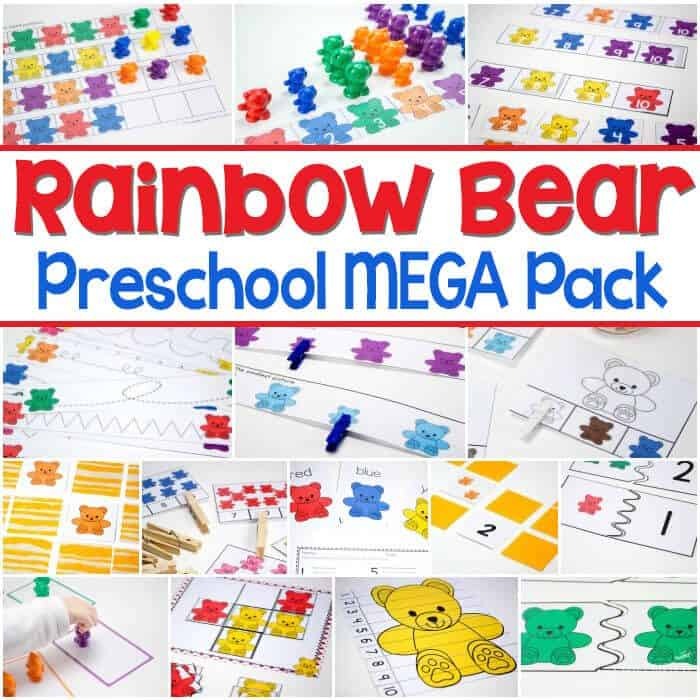 Check out the Rainbow Bear Preschool Mega Pack!! You may also enjoy these fun Rainbow Bear activities from Learning 2 Walk. These are great! The kids love the bears to learn. Thanks for sharing! I used to love counting with those bears when I was in school! I think it’s time to get a set for my daughter! Thanks for sharing these colorful printables at the Thoughtful Spot! We love our rainbow bears! They can be used for so many things. Thanks for sharing at Made for Kids!